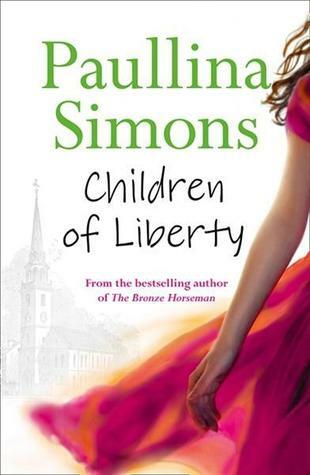 I’ve been a fan of Paullina Simons for years. It started with the book Tully and then continued with The Bronze Horseman trilogy and on to books like The Girl in Times Square and Red Leaves. Children of Liberty is a kind of prequel to The Bronze Horseman in that it tells the story of how the parents of Alexander (the male protagonist in TBH series) met in the early 1900’s in Boston. The book begins with 14-year-old Gina from Italy stepping off a boat at Boston’s Freedom Docks with her mother and brother. They have come to America as it was the dying wish of Gina’s father. At the dock, they meet Harry Barrington and his friend Ben Shaw. The two young men are the sons of prominent Bostonian families and greet families at the dock to house them at the buildings Harry’s father owns around town. Gina convinces her family to accept their help. They stay a night and then move to a town called Lawrence outside of Boston. From there Gina starts a number of money making schemes whilst nursing her love for Harry and conspiring ways to bump into him again. Harry is engaged to a rich young heiress called Alice. He doesn’t do much apart from study at university and quote from a lot of highbrow writers of the day. His friend Ben is a more likeable and interesting character. Ben is also smitten with Gina but she only has eyes for the rather wet Harry. Fast forward and a few plot points happen, but mostly nothing. Then suddenly it is years later and Gina is all grown up. A couple more things happen and then the book limps to a unsatisfactory conclusion. I think Gina was supposed to be like the tough, enterprising character Tatiana from The Bronze Horseman. But I found her ‘cuteness’ annoying. Whilst there were historical details thrown in here and there – like references to the building of the Panama Canal and quotes from writers and political activists from the time – I felt like this story wasn’t as fully fleshed out as I am used to reading from Paullina Simons. Maybe because I found most of her other books to be such great reads I am judging this book a bit harshly. I read it, I got to the end, but unlike her other books, which I’ve read numerous times, I won’t be giving this one another read. Has one of your favourite authors ever disappointed you?